Comfort Food: Pizza Hut Star Pops and loads of Ice Cream! For once ever since the start of the year, Paul and I were fortunate to be able to experience our first light weekend. No appointments made neither was there any pressure to tick off another to-do from our BIG day list. Somehow, we were able to BREATHE for two full days. Actually the initial plan was to go out of town to visit a Principal Sponsor however this plan was postponed leaving us with nothing to do on a Saturday afternoon. Not long after, we found ourselves on our way to the Gateway Mall for a fun pizza and ice cream feast! We arrived at Pizza Hut Bistro a little past 2 and was surprised to see the restaurant packed with big groups of friends and family. We purposely chose to go a little after lunch time hoping that we'll be able to secure a table right away. It's a good thing though that luck was on our side as the server was immediately able to lead us to our table. 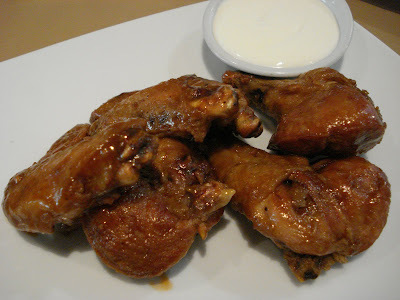 I love Pizza Hut Bistro! I enjoy trying their soups, salads, gourmet pasta dishes and of course, their pizza! While scanning the menu, we chose the Crab Salad Roll, two Wing Street specials : Garlic Parmesan and Honey BBQ and the new Star Pops pizza. 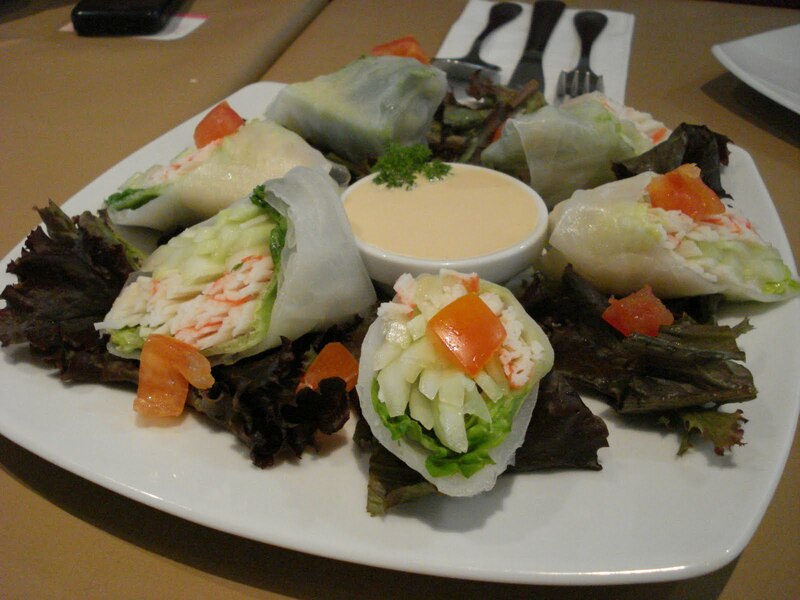 The Crab Salad Roll was the first to be served. It's actually a very healthy choice with kani strips and lots of veggies inside. Believe me, it was literally bursting with greens! We both liked the Japanese mayo dip that came with it. We enjoyed the light and healthy salad roll but we were totally happy with our WingStreet choices! I love the Garlic Parmesan while Paul immediately became a fan of the Honey BBQ. Even kids will love this as it does not have any spicy hint at all. Be sure to order blue cheese to complement this. It's interesting because the wings may be served in three ways: bone-in the traditional way, bone-in breaded and boneless for those who wants to have their wings fast. 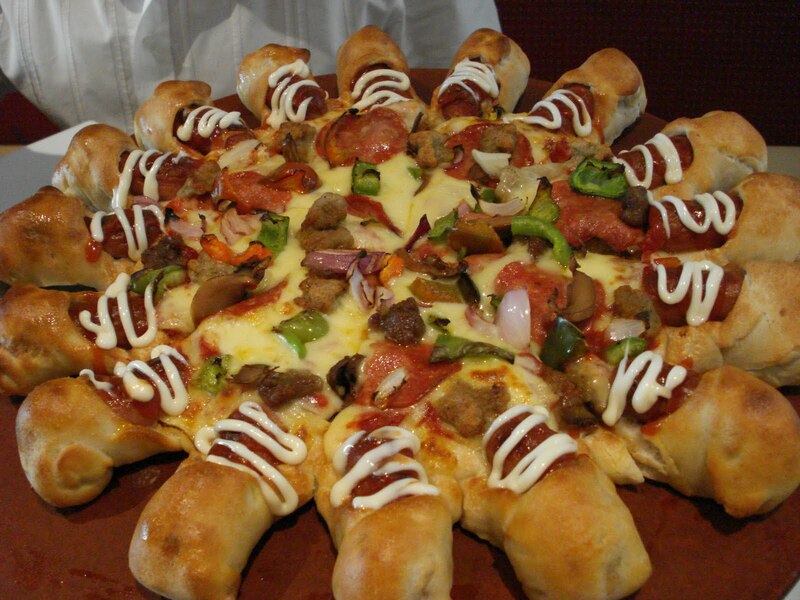 Lastly, the star of the show -- Pizza Hut's newest Star Pops pizza. 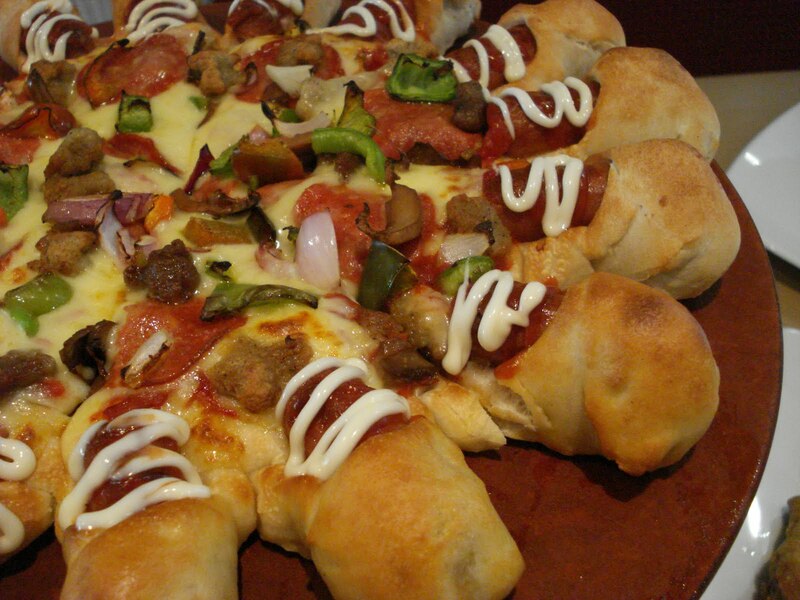 We've seen how Pizza Hut continues to innovate beginning from their Stuffed Crust followed by their Sausage and Cheezy crusts and followed by a lot more. 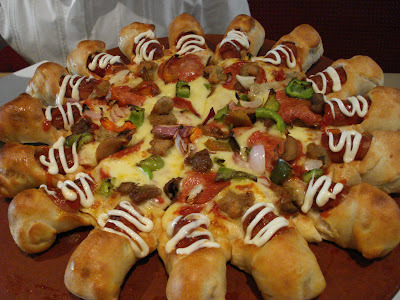 This time, they have the Star Pops which combines their signature delicious cheese formula and a piece of all-meat sausage in every pop. Since the pops were filling enough, I highly recommend that you get a less loaded pizza flavor so as not to stuff yourself up right away. We scream...ICE CREAM at Dairy Queen! 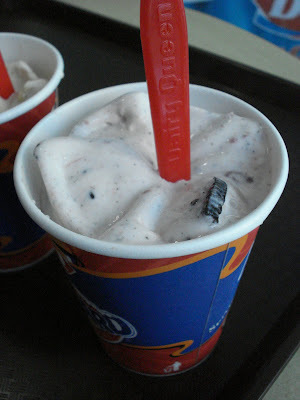 After our filling lunch, we headed to Dairy Queen for our mandatory ice cream fest.This is definitely a must-stop place for us whenever we're at a mall that has Dairy Queen. Since they were celebrating the Blizzard's 25th Anniversary, they have 25 flavors for customers to enjoy. We're big fans of Dairy Queen and choosing a flavor is always a big challenge. 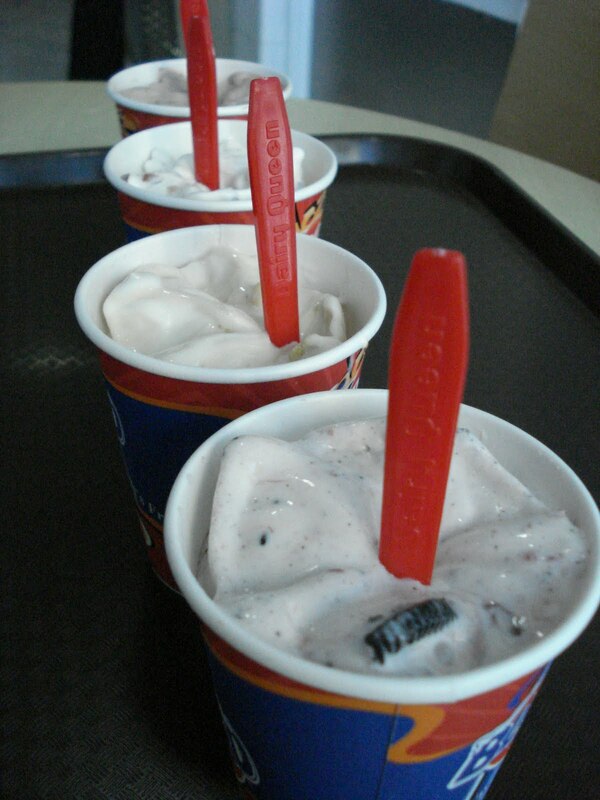 Eventually, we ended up trying out not one, not two but FOUR Blizzard flavors! We got the Brownie Temptation, the White Truffle, the Caramel Cashew and the Strawberry Oreo. I personally loved the Caramel Cashew as I get to bite into pieces of crunchy cashew in every scoop. It's not too sweet also which was perfect after a very filling lunch. Paul, on the other hand, stayed loyal to his favorite Brownie Temptation. The Strawberry Oreo is an interesting creation. This actually reminded us of our BIG day motif which was based on Chocolates and Strawberries. I love the sweet strawberry syrup mixed with the tiny chocolate oreo bits. Yum! Lastly, the White Truffle was very smooth and creamy. This is perfect for all white chocolate lovers like myself. A perfect after-dinner indulgence. What we initially thought would be an uneventful day turned out to be a fun afternoon spent bonding with each other and just allowing ourselves to unwind. Nothing beats having pizza and ice cream as comfort food. Visit Pizza Hut and Dairy Queen's Official Websites for their list of branches.